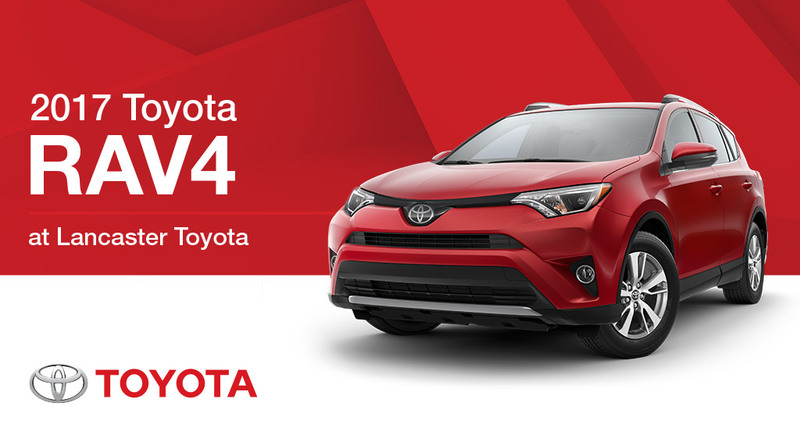 Though the compact crossover segment is one of the most competitive in the industry, the 2017 Toyota RAV4 still manages to stand out from the crowd. It is the perfect combination of athletic style and innovative, family-friendly features for those that need a practical everyday car, but don’t want to scrimp on style. The Toyota RAV4 even has a hybrid powertrain option for those consumers that want family-friendly spaciousness with eco-friendly fuel efficiency. The 2017 Toyota RAV4 is available in six trim levels: LE, XLE, XLE Hybrid, Limited, Limited Hybrid, and Platinum. Gasoline models are available with front-wheel or all-wheel drive; specs listed below apply to FWD models. Both hybrid models are AWD only. *2017 EPA-estimated city/highway mileage. Actual mileage will vary.